Is it worth it? I played Sauce for years but is GO any good? get ready to be disappointed the lack of basic modern graphics , awkward controls. and the lack of ability to use aim button. While I agree dimiav, the basic graphics are so you can get as high FPS as possible with low power systems, the controls are no way awkward at all compared to something like battlefield which feels like you're running through jam, and the aim thing you get used to, it's just a really old school way of shooting like quake or doom where there is no ADS. (06-19-2014, 11:22 AM)SJTG1993 Wrote: While I agree dimiav, the basic graphics are so you can get as high FPS as possible with low power systems, the controls are no way awkward at all compared to something like battlefield which feels like you're running through jam, and the aim thing you get used to, it's just a really old school way of shooting like quake or doom where there is no ADS. well in BF4 they attempt to make it be somewhere between realistic to fun. But you walk behind a wall, and get shot by a tree. Or you shoot someone in the face with a sniper rifle, it's not detected they turn around and shoot you. And did I mention the virgins that use the same exact vehicle every single game because that's all they know how to do? (06-19-2014, 11:25 AM)ptg_dimiav Wrote: well in BF4 they attempt to make it be somewhere between realistic to fun. ..And they failed miserably coz it's utter dog shite. As someone who has taken months to get into CS:GO I have to admit it's a damn good game. But if you approach it expecting something like Battlefield or Arma you're going to be disappointed. 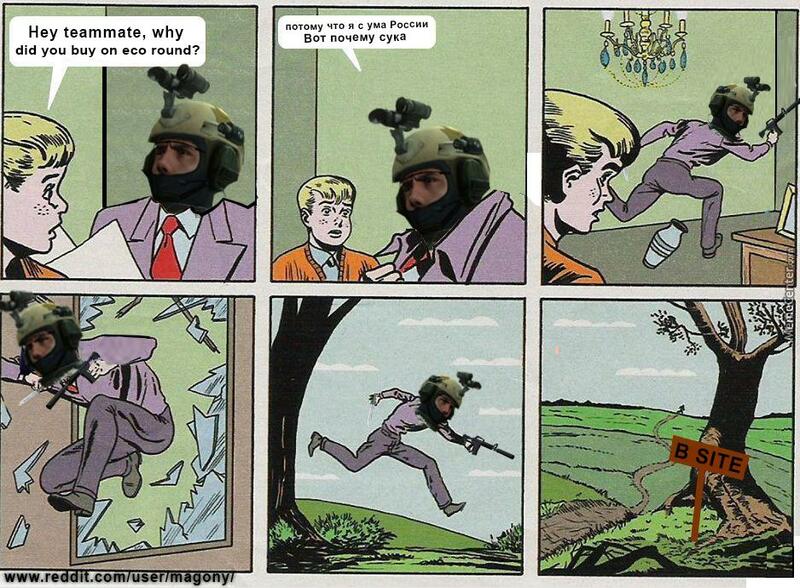 CS:GO is its own beast. Don't try to tame it: tame yourself. A good example of this is the way the physics work when throwing grenades... your character's velocity is taken into account so if you run sideways and throw the grenade forward it moves forward and sideways. You may think this is obvious but most games (including Battlefield) don't do this. I like the graphics. Yes you're not going to see cheap water spray effects and lens flare blinding you or fancy knife animations that never work properly but that's a good thing for what CS:GO is doing: highly competitive arcade shooter. If you want authenticity go play Arma; if you want an immersive child-friendly experience then play Battlefield or CoD. (06-19-2014, 11:25 AM)ptg_dimiav Wrote: to fun. thats what i liked about css, the physics.. Steep learning curve but stick at it. Everyone goes through that stage. 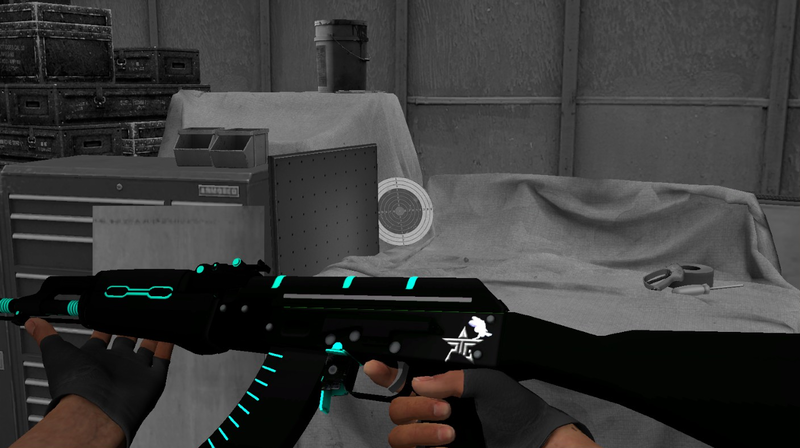 I got bored watching the game last night so I made a gun skin. Looks very similar to the vulcan but black, but I like it! It was more of an exercise in learning how the layout applied to the model. Several small parts were not that clear. Next time England play I'll fiddle about with it.